Dimensions 1 by 5 by 6 in. Working dogs; United States; Biography. German shepherd dog; United States; Biography. Amazon.com description: Product Description: Nearly ten years in the making and perfect for the holidays, Susan Orleanâs first original book since the celebrated bestseller The Orchid Thief is the publishing event of the season: a sweeping, surprising, and powerfully moving work of narrative nonfiction about the dog actor and international icon, Rin Tin Tin. German shepherd Rin Tin Tinâs journey is the story of the twentieth century. From the discovery of Rin Tin Tin on a WWI battlefield in 1918, to the movies, radio programs, and the 1950s television show that would cement his legacy around the world, Rin Tin Tin traces the extraordinary history of the dog and his descendants over more than ninety years. Rin Tin Tin was a star (he received 10,000 fan letters a week); a worldwide sensation; a social figure (as the U.S. Armyâs WWII mascot, he inspired thousands of Americans to donate their dogs for use in the war); and a baby-boom touchstone. He was also a real dog, and the book tells the epic love story between Rin Tin Tin and the remarkable people who devoted their lives to him and his legacy. Like no one else, Orlean crafts brilliantly engaging, witty, and passionate narratives about her real-life characters. As The Washington Post Book World has said, her âsnapshot-vivid, pitch-perfect proseâ¦is fast becoming one of our national treasures.â A tour de force of history, emotion, and masterful storytelling, here is the ultimate tale for anyone who loves great dogs or great journalism. About: A New Yorker staff writer and author of The Orchid Thief chronicles the rise of the iconic German shepherd character while sharing the stories of the real WWI dog and the canine performer in the 1950s television show, in an account that also explores Rin Tin Tin's relevance in the military and popular culture. About: He believed the dog was immortal. About: One of the most acclaimed nonfiction books of 2011, Susan Orlean’s New York Times bestseller Rin Tin Tin is “an unforgettable book about the mutual devotion between one man and one dog” (The Wall Street Journal). 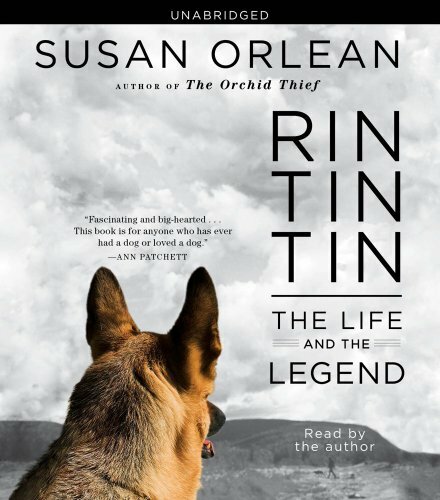 About: Nearly ten years in the making and perfect for the holidays, Susan Orlean’s first original book since the celebrated bestseller The Orchid Thief is the publishing event of the season: a sweeping, surprising, and powerfully moving work of narrative nonfiction about the dog actor and international icon, Rin Tin Tin.